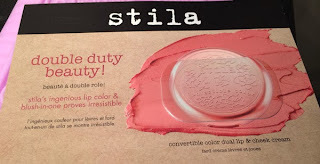 THE SKINNY: Stila is one of those brands I forget about but am always impressed with. Stila Convertible Color is no exception. The double duty product is made to go on lips and cheeks for a nice glow (and include Vitamin E!). I used Lillium (a rosy peachy pink) and loved the color on my lips. And while I liked the smooth application on my cheeks, it was a hint too rosy for my already pinkish complexion. What amazes me about this product is that it has just the right shine on lips but not cheeks. Stila really has it figured out. KEEP OR TOSS: Keep. Double duty products are especially great when you travel. 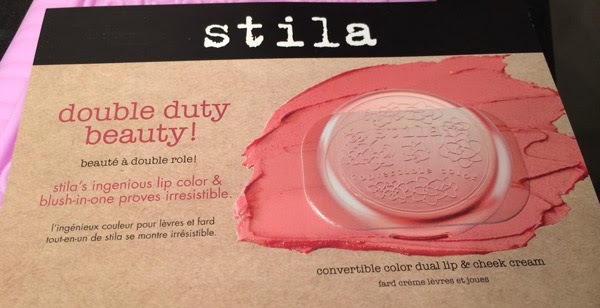 CHECK IT OUT: Stila Convertible Color comes in 10 shades and gets good reviews.